The kaleidoscopic Blue Danube Fantasy takes the elegance of the Viennese waltz as a point of departure and plunges headlong into the passions that undulate beneath the dance's restrained façade. Additionally, this concert fantasy for one piano, four hands attempts to illustrate the striking parallels between four feet traversing a dance floor and four hands navigating a piano keyboard. 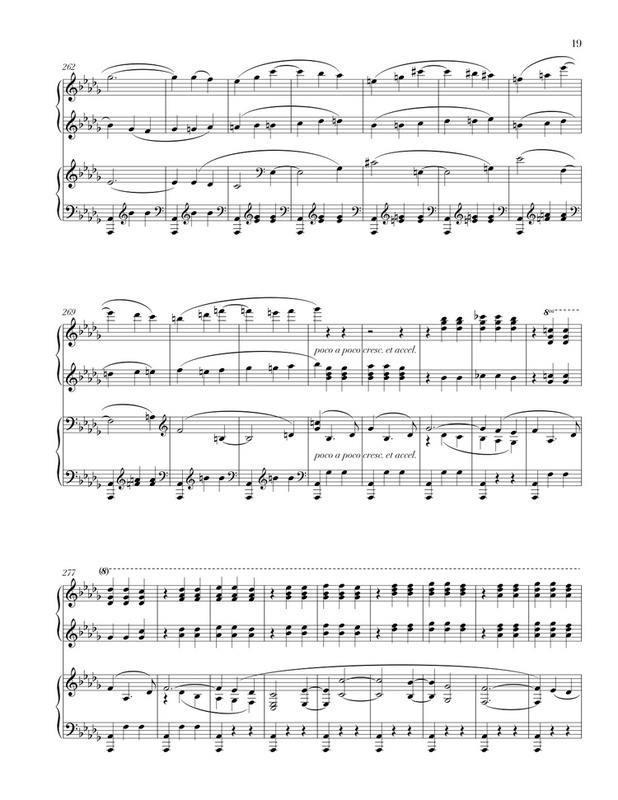 While it may be possible to ease certain technical challenges residing within these pages through redistribution, I kindly request that pianists play the music as it is written; similarly, under no circumstances should the piece ever be played on two pianos. Performing A New Account of the Blue Danube Waltzes is the act of dancing, as much as it is the act of making music.